Break out of the boring old potato salad rut with this Easy Roasted Potato Salad. Roasted Yukon gold potatoes are tossed with a light dressing of stone ground mustard, mayo, a touch of sweet pickle relish, and minced shallot. 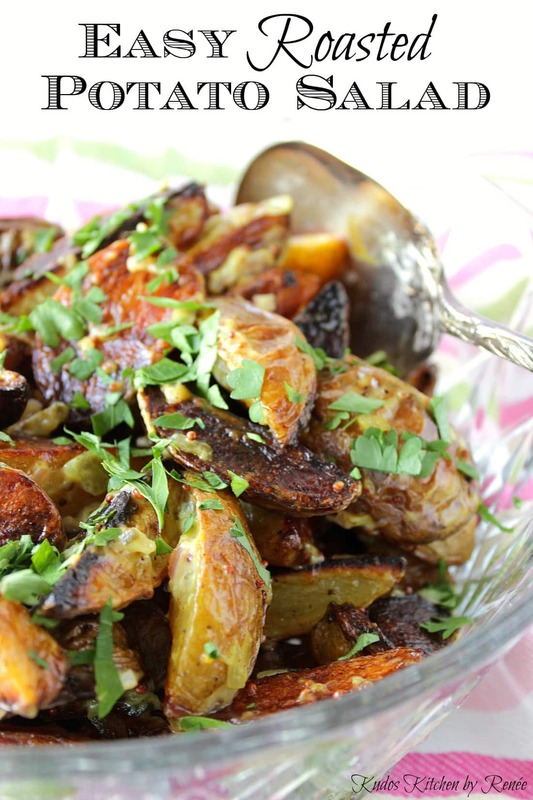 Since this Easy Roasted Potato Salad calls for roasting the potatoes instead of boiling them, the extra flavor from the caramelization is what gives this potato salad its unique, and standalone taste. So ditch the pot of water and grab a baking sheet instead. NOW we’re talking! After tossing the sliced potatoes with oil, lay them, cut side down, on the baking sheet. 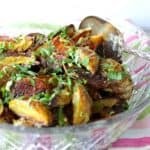 This step is necessary for optimal potato caramelization, and it’s the main thing that makes this Easy Roasted Potato Salad so flavorful and delicious. 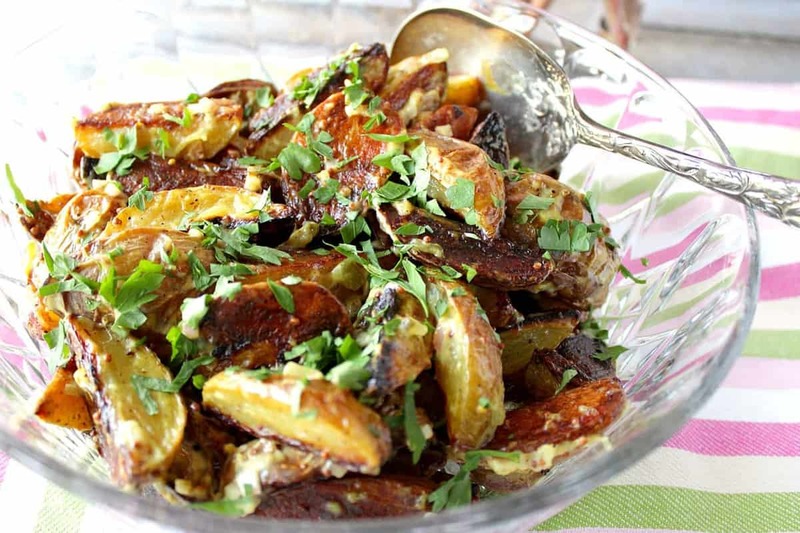 Slice baby Yukon gold potatoes into potato wedges. Toss them in a large bowl with salt, pepper and a bit of oil. Layer the oiled potatoes, cut side down on a baking sheet. Mix together mayonnaise, stone ground mustard, sweet pickle relist, and minced shallots in a medium bowl while the potatoes are roasting in an 425 degree oven. 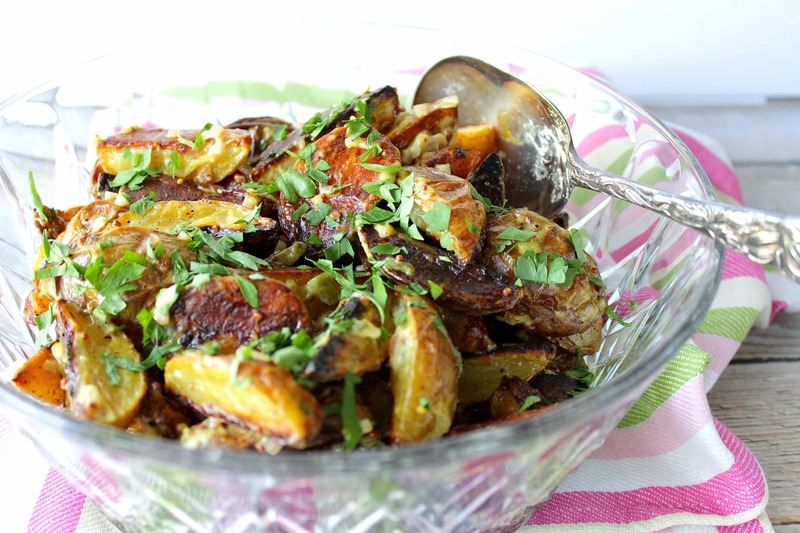 Place the roasted potatoes in a large bowl and immediately toss the hot potatoes with the dressing. 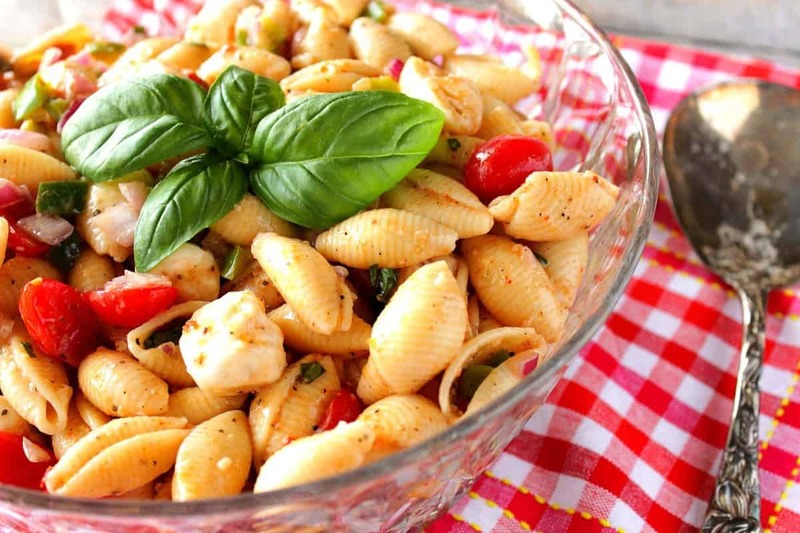 Garnish with chopped parsley and serve warm, or refrigerate and serve cold. additional salt and pepper if needed, to taste. Place the sliced potatoes in a large bowl along with the oil, salt, and pepper. Toss to coat. Place the potato slices, cut side down, in a single layer on a baking sheet. Roast in a preheated oven for 20-25 minutes, or until the potatoes are tender and deeply caramelized. Meanwhile, whisk the mayonnaise, mustard, relish, and shallots until blended. Remove the potatoes from the oven. Use a spatula a remove the potatoes from the baking sheet, and place them in the large bowl. While the potatoes are warm, toss them with the mustard dressing. *Note - if you like a very creamy potato salad, add all of the dressing. If not, use less. Season with additional salt and pepper (if needed), garnish with fresh parsley, and serve immediately. Or, chill at least 1 hour, and serve cold. Capers would be a delicious ingredient in this salad as a replacement for the sweet pickle relish if you prefer a vinegary bite. This salad is delicious served warm, or chilled. The following Dr. Suess wine glass doesn’t really have anything to do with the Easy Roasted Potato Salad recipe, but I thought the colors coordinated well. LOL. 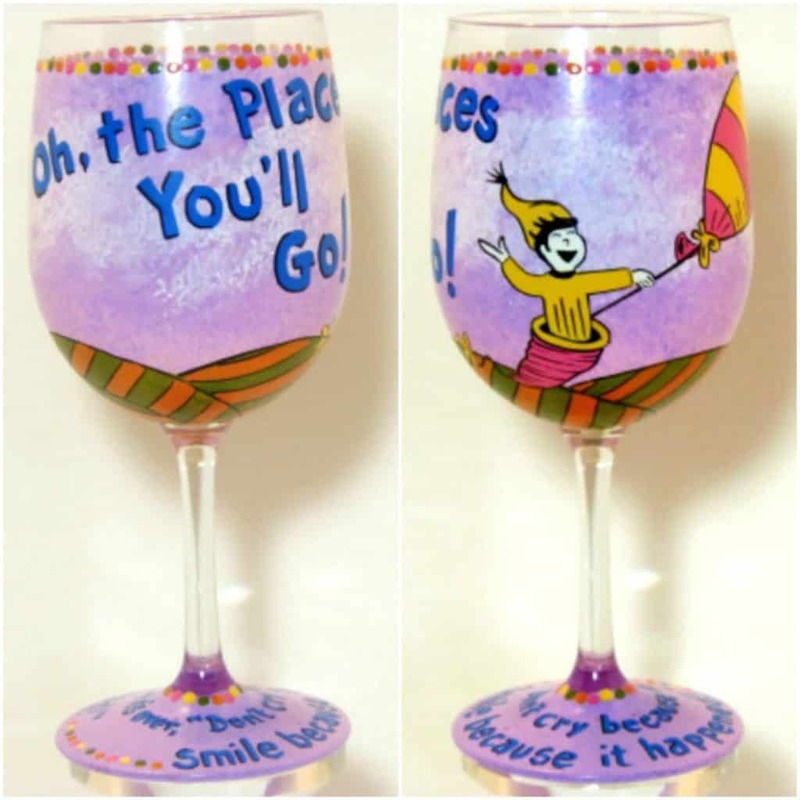 This is a glass that I painted a few years back after it was requested by a customer as a college graduation gift. Love that! Each and every wine glass I ship is completely painted to order an unique. They’re totally dishwasher safe as well as being non-toxic. Each glass comes in its own gift box making them perfect for giving. Custom orders are always welcome. If there is ever anything I can paint for you, from glassware to fabrics (aprons and tea towels), please don’t hesitate to contact me or visit my shops: Etsy, Wazala, and Kudos Kitchen Paints. Oh it looks good Renee, but I can’t stray away from the boiled potatoes salad. It’s a favorite. Love that you’ve commented here, Liz. Go with what you know, and love. But, don’t be afraid to try something new from time to time. 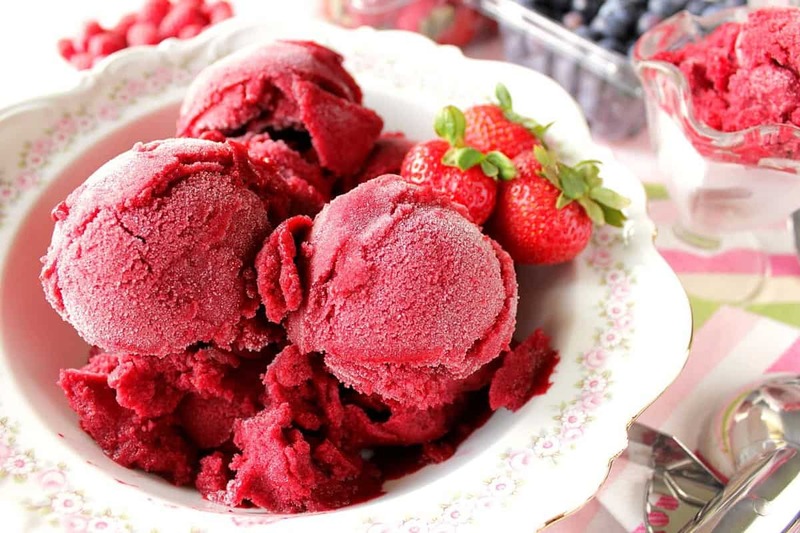 I am always willing to try a new way when the outcome looks like this! 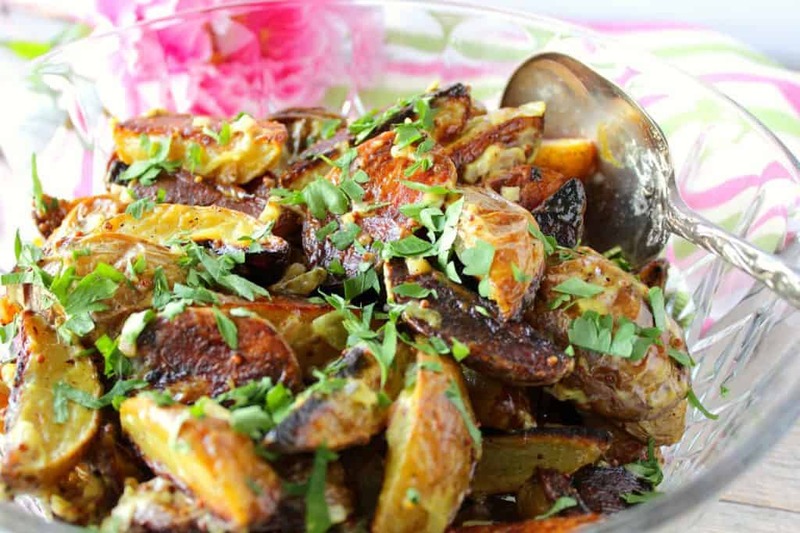 Roasted potato salad is one of my favoritesI just love that extra flavor added by roasting. I could make a meal out of this! Me too, Heather. Who needs anything else? Thanks. Oh my gosh, that is one drop-dead delicious looking potato salad, I’ve got to try it! Thank you, Kimberly. I do hope you’ll love it! This looks so great — I love the big slices of potatoes! Right? Me too. Something different. Thanks, Jessica! 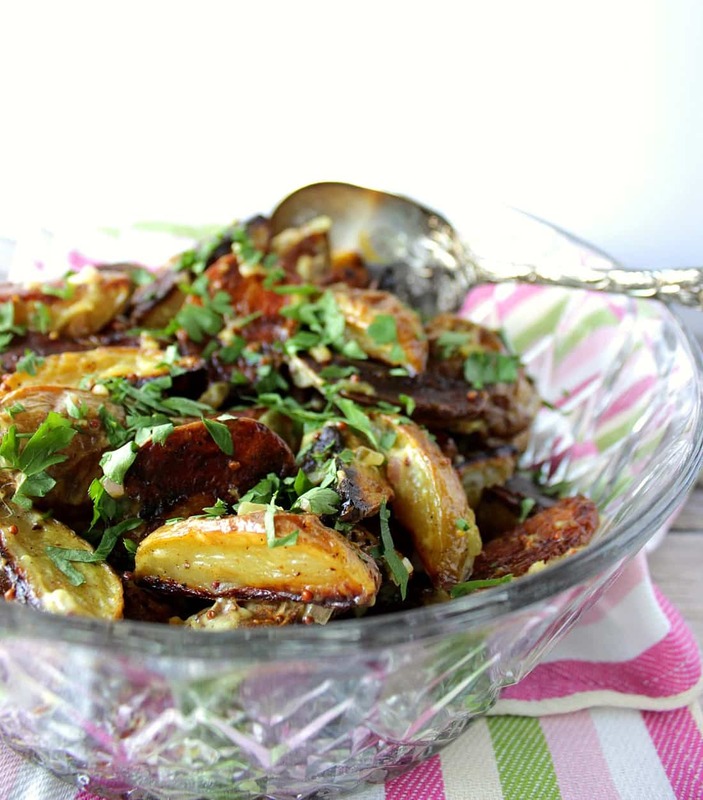 I love roasted potatoes so I bet they are amazing in this potato salad! I just want to dig right in! Thanks, Ashlyn. It’s exceptionally tasty! This is really such a great idea. I’m sure the roasting of the potatoes gives the salad such an incredible taste. I’m looking forward to trying this very soon. My family loves when I bake and caramelize potatoes. Seemed like a natural progression with this potato salad. Thanks, Joanie! Thanks, Andi. Glad you like it!